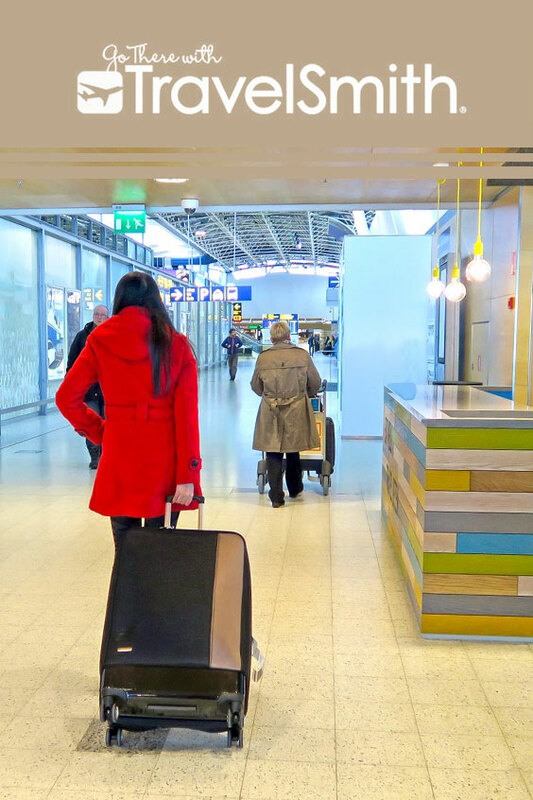 For every traveler out there (especially the new wanderers), picking the right luggage can be quite a dilemma because for sure, we all want something that’s durable and long-lasting but priced at a point that it wouldn’t break the bank. Now I’ve had my fair share of ‘hits and misses’ for all the travel luggages that I have bought over the past years, and truth be told, I’ve only had a few hits. In order to save you from the trouble of going through such an arduous ordeal of trial and error, let me introduce to you one of those ‘hits’ — a brand that won’t fail your needs on whatever adventure: TravelSmith. As a long-standing company, TravelSmith offers a lot of travel gear and accessories; but if you’re looking for a good-for-value luggage, their popular S2 Hybrid Collection is the product for you! Besides, I’ve had the opportunity to try this item out for myself when the team over at TravelSmith sent me a sample for review, and after months of putting my S2 Hybrid to the test, I can assure you that it’s the kind of item that you can depend on for your travels — may it be a weekend getaway, a business trip, a long-term spree, a safari, a cruise, etc! TravelSmith was launched in 1992 and they have but one compelling mission: to make travel as hassle-free and pleasurable as possible. Today, they mainly ship to the U.S. via their online shop; rest assured, they still offer international shipping by placing an order with them via email, fax, or phone. It has a double durability feature! A hybrid construction, this S2 series is very durable since it offers you the complete protection from its hardside case (mainly built in at the back) and the versatile flexibility from its softside case (placed right at the front). I personally find this design as extremely ideal because you can position fragile items at the backend and then stack all your clothing at the front. This frontal section can even provide enough future ‘stretch’ — which wouldn’t be possible from a full-on hardside luggage. NOTE: The hardside is made of tough polycarbonate that boasts the same strength-to-weight ratio as steel! Built with a quick-access front compartment. For when you want to store valuables that you want to access in a jiffy, the TravelSmith S2 Hybrid has a padded hinged organizer panel on the front. In here, you can slip in your laptop (up to 15″) and even stack in your tablet in a separate pocket. Overall, there are 3 mesh zippered pockets where you can store smaller stuff like cables, cords, and whatnot. A two-sided compartment with a divider! On the back side of the TravelSmith S2 Hybrid’s inner compartment is an ample open packing space that has mesh compression straps. 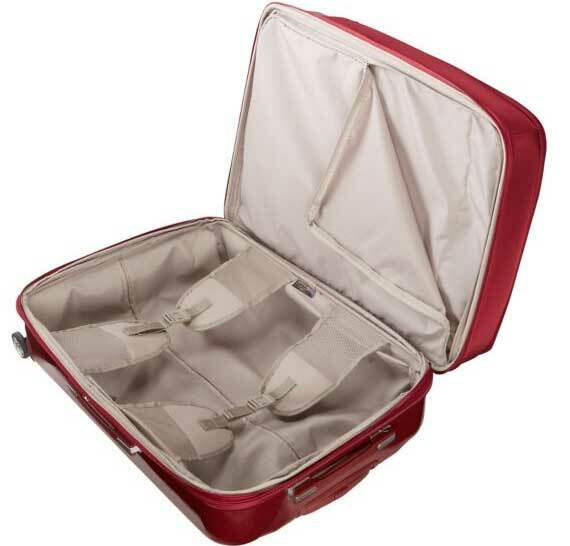 Opposite to it is a sectioned compartment that has a divider, which helps a lot in separating your items and clothing for your trips. Often times, I use this divider-compartment as a section for storing my dirty clothes — and it’s really nifty! Otherwise, I would also often place here my ‘crease-magnet’ clothing because I’ve found that this part helps a whole lot in minimizing wrinkles. Comes with a LIFETIME warranty + a FREE gift! The amazing thing about TravelSmith is that that they stand very confidently behind every product that they sell… what this means for us is that should we ever encounter problems with our TravelSmith item, they would promise a complete refund — NO questions asked, and NO exceptions!! Additionally, they offer free exchanges too, and these would really put a lot of ease into our minds as customers. As for the FREE gift, as long as you purchase an item from this S2 Hybrid series, you will get a set of TravelSmith Smart Packs as well at no charge. Ain’t that awesome? It has a two-tone exterior which makes it easy to spot especially when it’s time for baggage claiming at the airport. Comes with an easily manoeuvrable 360° double-spinner wheels with hubcaps. Lockable two-way zippers and one zippered side that can expand 2″ more for additional space. Grooved telescoping handles that will resist any bending and these are located on the top and side parts. The bottom of the luggage also has a good grip for easy lifting. There are a few things though that I didn’t like about this TravelSmith collection (such as the minimal choice on colors and the lack of a built-in TSA lock) — nevertheless, I still find that the ‘pros’ far outweigh the ‘cons’. With that in mind, I really can’t just help but recommend it! So what are you waiting for? Come and grab your own TravelSmith luggage NOW! 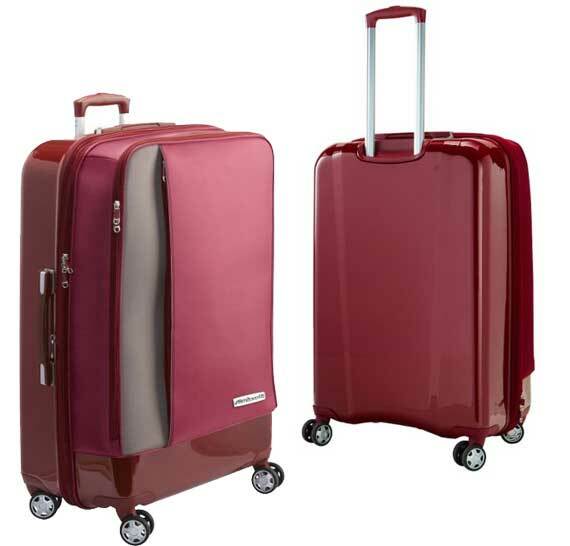 What do you think about TravelSmith’s S2 Hybrid luggages? Someday I would like to get some nice luggage like this. I love these!! We travel to Europe every year and our suitcases always get destroyed!!! These are a little bit on the pricey side (compared to what I've seen) however, I have no doubt that they are 100% worth it! Well I got the big one, and I actually think the price is fair for that as compared to some of the luggages I've found in the market. For sure, the quality is top-notch and the warranty is amazing too! I do not travel all that much, but when I do I'm always scrambling trying to find something to pack my stuff away in. This looks like a great travel bag and it doesn't cost a fortune, which is a huge plus for me. I love the quick access front and the lifetime warranty! I love it when companies stand behind their products! Same for me! That's one of the reasons why I really loved this bag. It's very versatile and backed up by a great brand! That bag looks great. 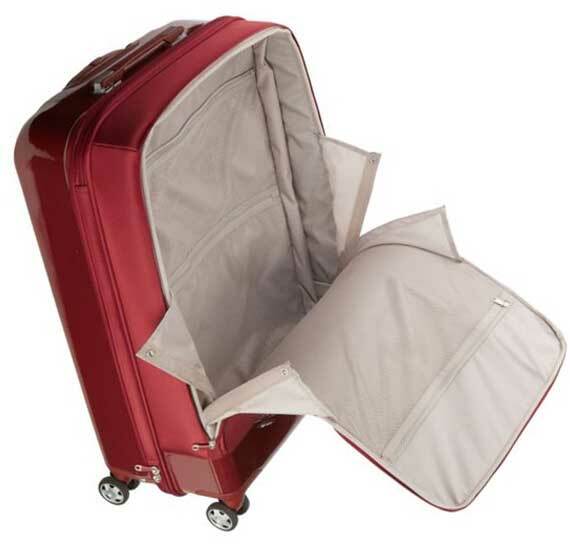 We have been searching for a good travel luggage and this one looks like it has everything I have been looking for. I'm happy to have introduced this brand then to you, Dina! I love this luggage. We have had our current set for 13 years and it is starting to give out. I will be checking out this for our next set. I am really interested in because of the front access compartment. I love the looks of this suitcase. I also really like how spacious it is, and how many compartments it has. I have been using the same luggage for far too long. I really need to shop for something new. Something more colorful would be nice. Seems 90% of suitcases being used are black, just likemine. True, thankfully this still has another choice of red for the color and the design is something that can be easily identified when on a luggage claim belt! This looks like a great luggage! I love all the different compartments and oversized front pocket. Definitely have to look into this for my trip to Alaska this summer. So awesome! This just made me want to plan a trip! I love that you included that it's easy to spot when you're collecting your luggage. I have three kids, and it's always a pain standing around the carousel and checking all the black bags (while trying to break up their fights). You sold me when you talked about their great customer service. That's a big one for me! 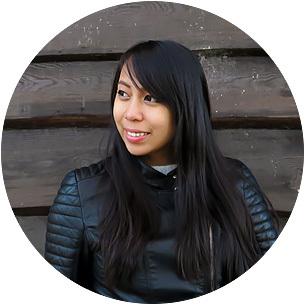 Happy to hear, Jacqui! You really won't go wrong with this one. 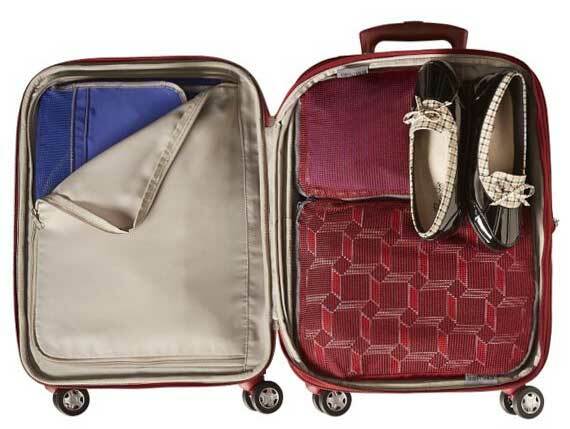 As a traveler, it really helps to ease out the trip's hassles and this luggage helps! That looks like a great little suitcase. It looks easy to pack and organize and so sturdy. The price isn't too bad, either. If I traveled a lot, I'd pick one up. Happy that you agree ;) It's really a great travel luggage!